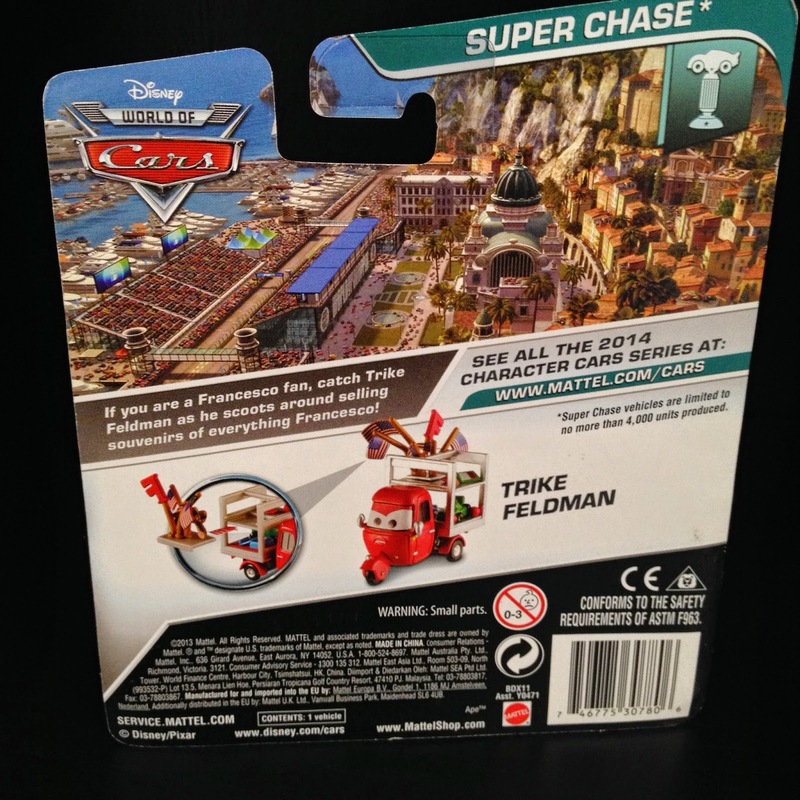 Here we have one of the rarest of the Mattel Cars 2 characters released in 2014...Trike Feldman! 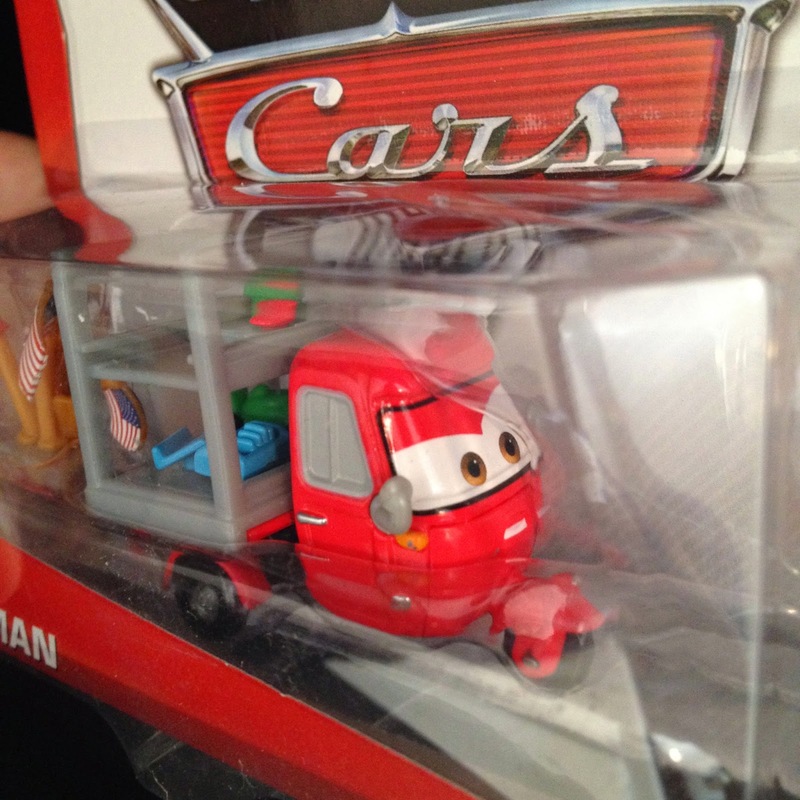 This is a 1:55 scale diecast (with plastic accessories) and is one of the four 2014 "Super Chases" released this year (the others include Carateka, "95" Fans Luigi & Guido, and "Ciao" Francesco Bernoulli). 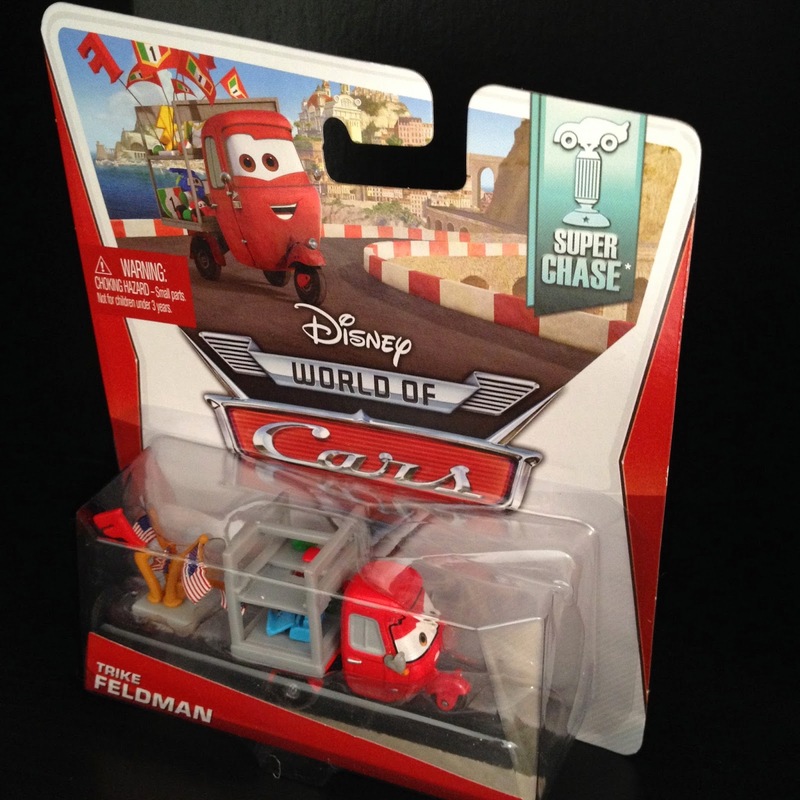 If you're unfamiliar, the term "Super Chase" just means that a very limited quantity were made ("no more than 4,000 units produced" as stated on the back of the package). As seen in the screen shot above, Trike is another one of those brief background characters who only makes a split second appearance in the film. He is a Francesco Bernoulli souvenir/merchandise vendor, seen in Porto Corsa as Finn races through the streets in the attempt to stop Acer and Grem. Oddly enough, the flags included with this release are American, rather than the Italian flags he is seen having in the film. Interesting! 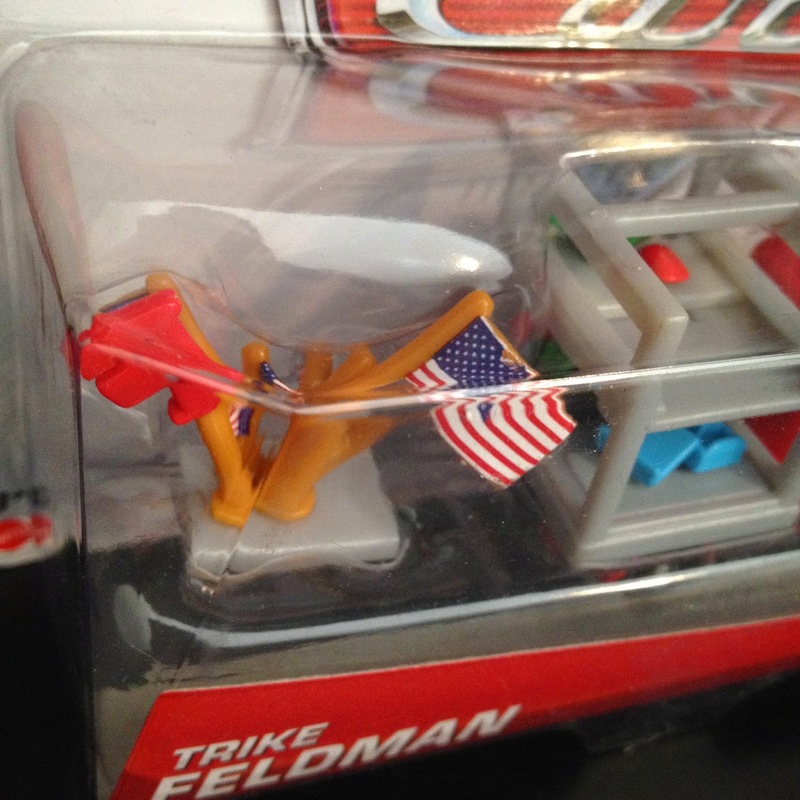 I wonder if this was done on purpose by Mattel, as it seems that it's not a detail that could have slipped by them.